Flying to Kansas last evening, I was treated to some spectacular views of clouds outlined against the day’s last rays of sunlight. It was good to get away and good to be back. 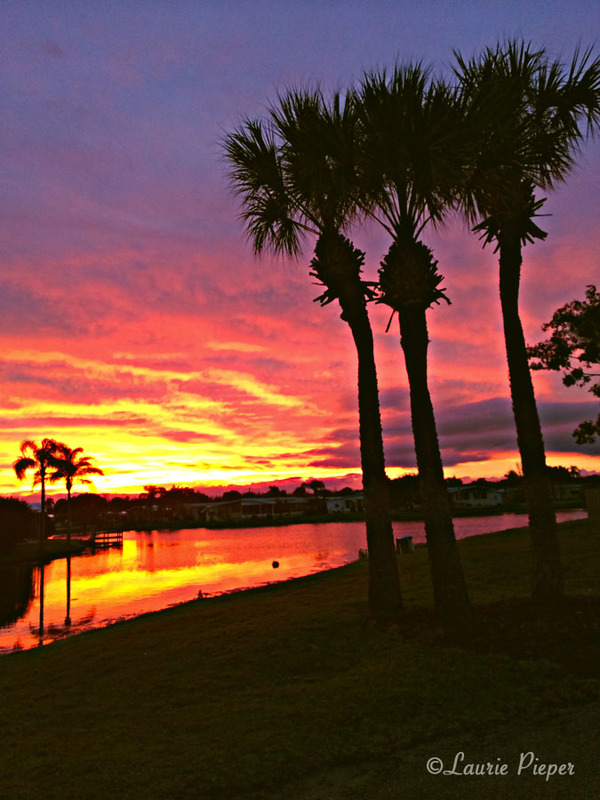 While in Florida recently, I stepped outside one evening and was surprised to see a brilliant post-storm vista unfold. Fortunately, I had my cell phone with me and was able to catch a few photos as the sun yielded the horizon to nightfall. For years, friends and family told me that I needed to take a vacation. I finally accepted their advice and took myself on a trip to Las Vegas – my goals being to visit family, eat really good meals, and do some Christmas shopping. I actually succeeded in all three of those things! I started off with a glass of Ca’ del Bosco Franciocorta Cuvée Prestige – a delightful Champagne-style sparkling blend of Chardonnay, Pinot Nero and Pinot Bianco – then ordered a beet salad and grilled Branzino. To go with the salad Jason poured Bastianich Rosato, a pleasingly crisp, light rosé. To go with the fish, he poured Marziano Abbona Roero Arneis Orchietti – a medium bodied white wine with a gorgeous floral bouquet. After waiting a little bit after the meal, at Jason’s suggestion I enjoyed a plate of dolci with a taste of two amari: Cardamaro Vino Amaro – a moscato-based liqueur with a sweet start and bitter finish; and then Amaro Ci0Ciaro – a liqueur with bitter orange and herbal flavors. As was my expectation, the food was delicious, each dish being cooked just right and the flavors being perfectly balanced; and the wines and liqueurs were exactly right for the meal. When I returned to Kansas, I had a conversation with Chad Lohman, C.S., owner of Nespor’s Wine and Spirits about how much I enjoyed the wines and liqueurs that I had at B&B. Chad suggested that I might appreciate a “tour” of the Nespor’s Italian wines section in connection with thinking about wines for the holiday season. Even though I hadn’t yet starting planning our Christmas menu, I certainly thought a tour sounded like a great idea! 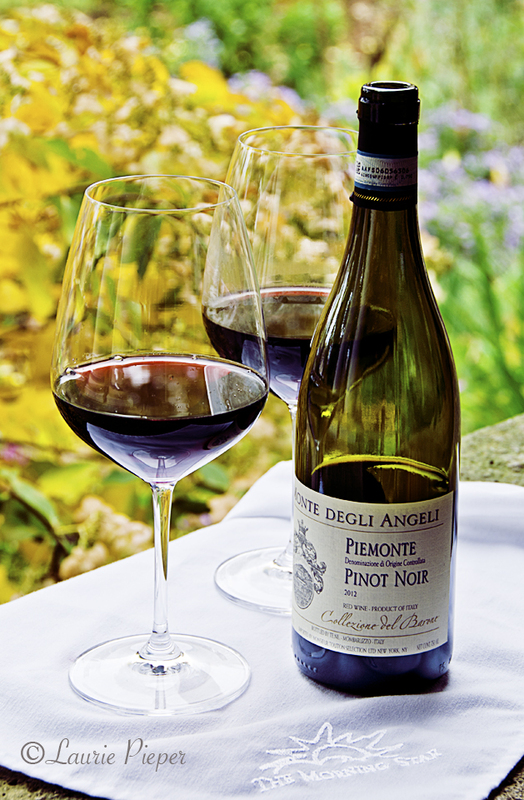 Our premise was that Italian wines, like French wines, are made to be enjoyed with a meal and so pair well with food. As we started our tour with a discussion of a Sicilian white wine, we also talked about the fact that white wines are frequently overlooked during the winter because people feel like they don’t want a glass of cold wine. This is unfortunate because white wines often pair more easily with food than red wines, as reds can sometimes be overpowering. Moreover, white wines lose their interest when they are overchilled, so serving whites in winter shouldn’t be a worry. Rather the concern should be whether the wine goes with the food (or vice versa). 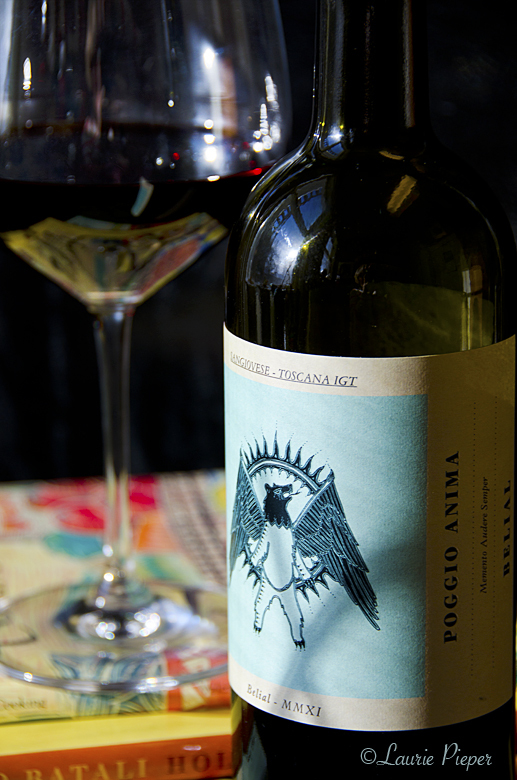 • red wines pair well with red sauces, stronger cheeses (e.g. romano), roasted/grilled vegetables or heavier vegetable stews, darker poultry (e.g. pheasant), lighter meats (e.g. ham) and heavier meats (e.g. beef). These generalizations can then be refined in two ways. First, it can be helpful to think about both foods and wines in terms of the regions with which they are associated because generally speaking, the wines of each region are made to go with its cuisine. Pairing foods and wines on a regional basis requires having some knowledge about the various regional cuisines. For example, consider a seafood dish such Scampi cooked in olive oil with garlic and herbs. This is a dish that is associated with the Friuli-Venezia area, so a white wine from this area would be something one might consider as a complement to the dish. 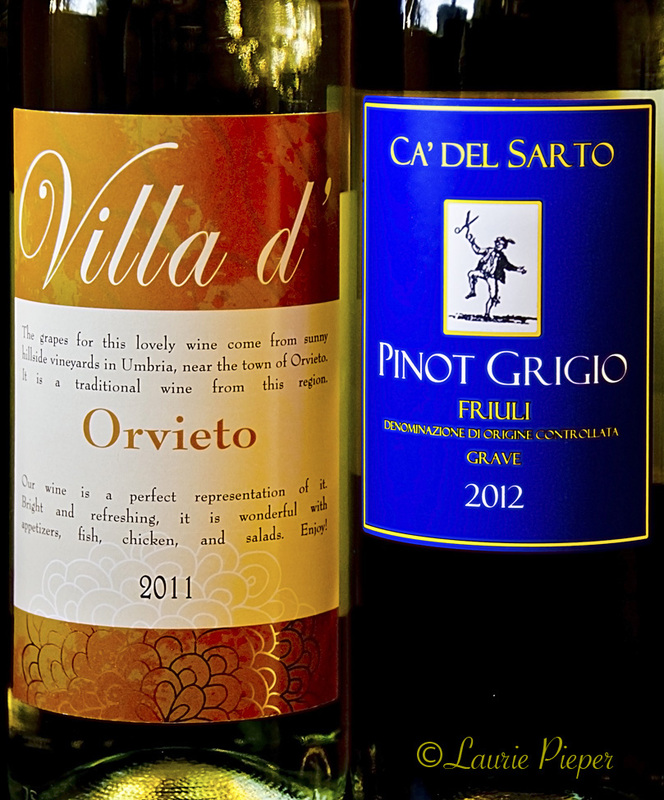 Chad recommends Villa d’Orvietto (Grechetto, Prociano, and Malvasia) and Ca’ del Sarto Pinot Grigio as nice wines from this region, but suggests avoiding wines coming out of the more industrial areas around Venice. For example, I tried three of the whites that Chad had recommended from southern Italy with several different foods. The three that I tried were Ciró Bianco Librandi 21012 (Greco Bianco), Falanghina Feudi di Sangregorio 21012, and Regaleali Bianco Sicilia 2011 (an Inzolia, Cataratto and Greciano blend). 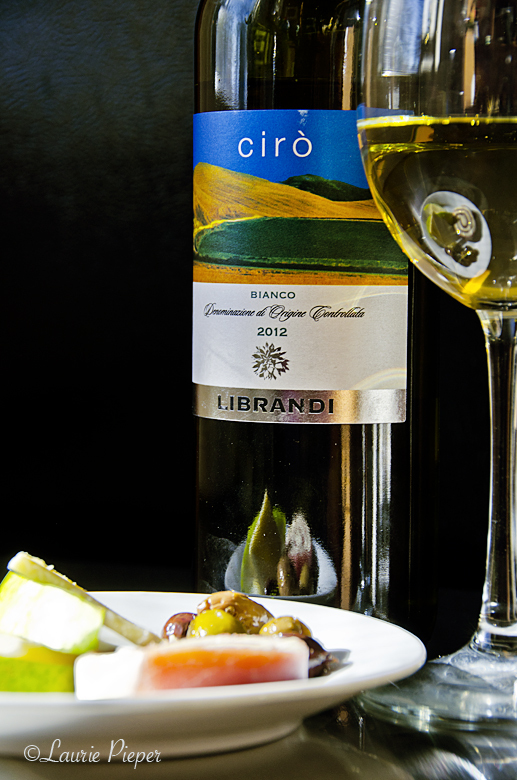 All were light and crisp, as Chad had said they would be; but the Ciró Bianco Librandi, which I have had several times before, was my favorite. I thought that it went well with a wider range of foods than the other two, but mostly I enjoyed its flavor more – fruity peach and lightly spicy, without being sweet. 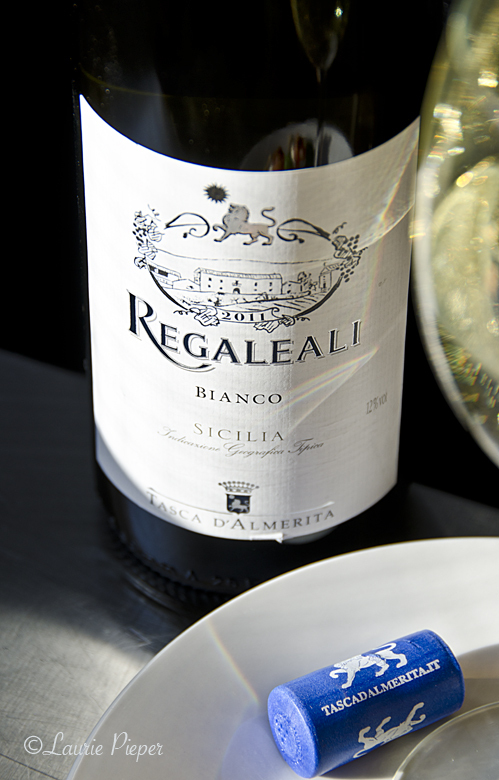 The Regaleali was the lightest of the three and went nicely with pears and with smoked salmon canapés. The Feudi di Sangregorio paired well with the olives, but seemed a little bitter with lighter foods. Mostly, the Librandi just appealed to my taste more than the other two. Enjoying the wine is the point, afterall, which means that no matter how much research one does, ultimately, one has to taste the wine and decide whether one likes it. Continuing with the tour … We chatted about the reds (the Barbara d’Astis, Barolos, Barbarescos, Barberas, Dolcettos, and Brachettos) and whites (the Arneises and Asti Spumantes) of Piedmont and also about the Sangiovese-based Chiantis and super Tuscans of Tuscany – Chad generously sharing his time and knowledge, me reading labels and taking notes. After, when I went home and started reading about the wines, I felt overwhelmed by all of the grape varieties with which I wasn’t familiar by name (Falanghina, Guillot, Primitivo, Nero d’Avola, Gretchetto, Malvasia, Nebbiolo, and so forth) not to mention the styles of wine between which I didn’t know the differences. Obviously, I had some work to do, if I was going to learn more about Italian wines. So I went to the library and checked out Vino Italiano: The Regional Wines of Italy by Joseph Bastianich (of B&B Ristorante) and David Lynch. The first section I read was about the difficulty of growing wines in Ciró and one wine that the authors recommended from that region was the Librandi. Ah, confirmation that I was on the right track. Then it came to me. The tour that Chad had given me really laid out a large project for me to embark upon, if I was up to the task … getting to know the wines of Italy well enough to converse about them intelligently and to pair them skillfully with food. And if you know me, you know that this is exactly the type of project that I love. I’ve tried about 20 Italian wines so far – thank goodness for wine tastings – and have several good resources that I can rely upon to help guide me further. 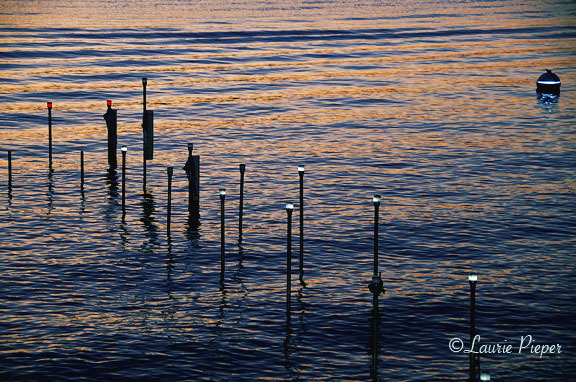 Hmmm … I’m thinking that there might be another vacation sometime in my future – perhaps, Italy! 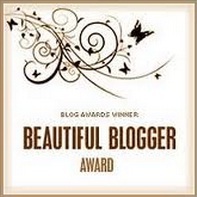 Thank you to A Word In Your Ear for issuing this week’s A Word A Week Challenge …Unexpected. When visiting the Adirondacks recently, I was surprised to see how high the water was at the lake on which my relatives live – 3 feet above normal for this time of year. This photo is of a neighbor’s dock, or rather, where the neighbor’s dock should be; the dock itself is submerged under water.